MWC 2014 is just around the corner and as the rumour mills go into overdrive about the Samsung Galaxy S5 and Sony Xperia Z2 the biggest revelation in Barcelona may be away from these devices. 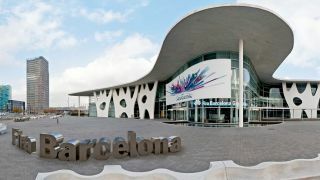 In a exclusive media briefing with Qualcomm, TechRadar discovered that 4G will be the industry's party line at the show. Enrico Salvatori, President of Qualcomm Europe, said "4G is a big one. We will see a lot of LTE devices a MWC because the user experience is now very much driven by the bandwidth, the capacity, the speed that smartphones can support. "This has always been a big point, but since moving from 3G to 4G customers are getting zero latency when it comes to browsing the web or streaming video." This gives us - the mobile using public - a far better experience, and that hasn't gone unnoticed by manufacturers. It's safe to assume that if the Galaxy S5 and Xperia Z2 do turn up at MWC they'll be LTE-enabled, but the superfast speed isn't just reserved for high-end devices anymore. "The adoption rate of LTE modems in smartphones is exploding," explains Salvatori. "First of all because of the user experience, but also because big markets are investing in the development of LTE. "For manufacturers creating LTE and non-LTE variants of a device is less effective than one device which supports a wide range of LTE," which in turn sees them including 4G in handsets away from the top end. "In the high tier segment of newly announced smartphones at MWC we can predict the majority of phones will feature 4G capabilities. "But there's a new trend in the mid-low tier where we're seeing a lot of innovation. That's not a derivative of the innovation for the higher tier being passed down, but OEMs starting from scratch for the lower cost handsets. "You'll see a lot of devices in the $100-$150 price range adopting the latest features such as CPU, GPU and LTE Modem." So there you have it - everyone's going big on 4G at MWC 2014. Although, let's face it, certain flagship smartphones will probably still steal the headlines.